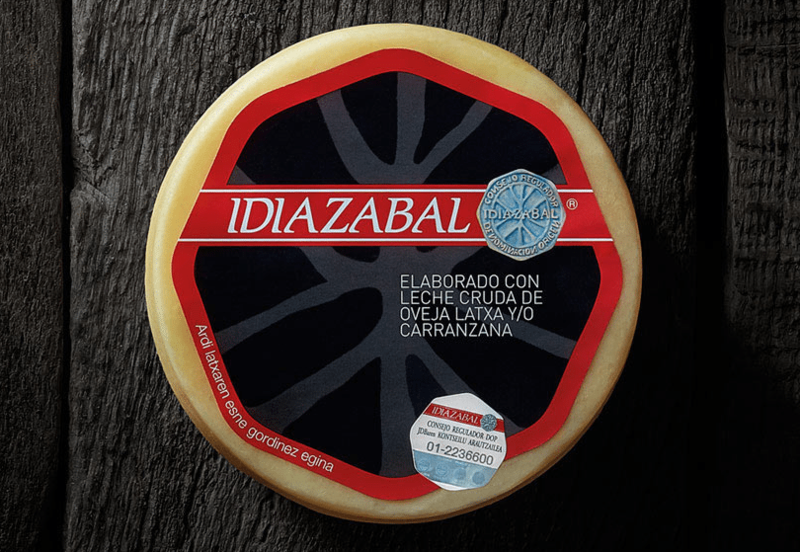 If there is a tremendously typical product of our land that is the Idiazabal cheese. The Basque and Navarrese shepherds have been elaborating it in a traditional way for thousands of years. They make it from raw milk of Latxas and Carranzanas sheeps that graze in our most famous sierras and valleys: from Urbasa to Carranza through Aralar, Gorbea or Orduña. In 1987 the Denomination of Origin was born to guarantee those characteristics that define it: its intense and penetrating smell that reminds of evolved sheep milk, its hard and smooth crust, a color that varies from ivory to straw yellow and, of course, an intense flavor that fills the mouth and leaves an aftertaste in it. In 1992 was nominated as a European Gastronomic Heritage Product by the French Ministry of Agriculture. And it does not surprise us because it serves for all kinds of dishes. You can taste it alone or in a simple sandwich with Cantabrian anchovies, in rice and pasta, as stuffing of aubergines, peppers or other vegetables from our orchard, or in delicious desserts such as the traditional cheese cake or an elaborate mousse. It’s all about choosing a good chef!